Description JUST REPRICED FROM $23,950, FUEL EFFICIENT 30 MPG Hwy/23 MPG City! CARFAX 1-Owner, GREAT MILES 40,716! Nav System, Heated Seats, All Wheel Drive, Turbo Charged Engine, Back-Up Camera, Dual Zone A/C, Remote Engine Start CLICK ME! All Wheel Drive, Heated Driver Seat, Back-Up Camera, Onboard Communications System, Aluminum Wheels, Remote Engine Start, Dual Zone A/C, Blind Spot Monitor, Cross-Traffic Alert, WiFi Hotspot, Smart Device Integration, Heated Seats Keyless Entry, Privacy Glass, Steering Wheel Controls, Child Safety Locks, Heated Mirrors. EXPERIENCE BUICK PACKAGE includes (UHQ) AM/FM/SiriusXM stereo with navigation, (CF5) tilt-sliding power moonroof and (RV8) 7-spoke chromed aluminum wheels, AUDIO SYSTEM WITH NAVIGATION, AM/FM/SIRIUSXM STEREO, SINGLE CD PLAYER AND MP3 PLAYER with navigation, IntelliLink with 7" diagonal color LCD display, GPS navigation system, USB port, Radio Data System (RDS) and auxiliary input jack, ENGINE, ECOTEC TURBO 1.4L VARIABLE VALVE TIMING DOHC 4-CYLINDER SEQUENTIAL MFI (138 hp [102.9 kW] @ 4900 rpm, 148 lb-ft of torque [199.8 N-m] @ 1850 rpm) (STD), TRANSMISSION, 6-SPEED AUTOMATIC, ELECTRONICALLY-CONTROLLED WITH OVERDRIVE includes Driver Shift Control (STD). Buick Leather with ROSEWOOD METALLIC exterior and SADDLE interior features a 4 Cylinder Engine with 138 HP at 4900 RPM*. 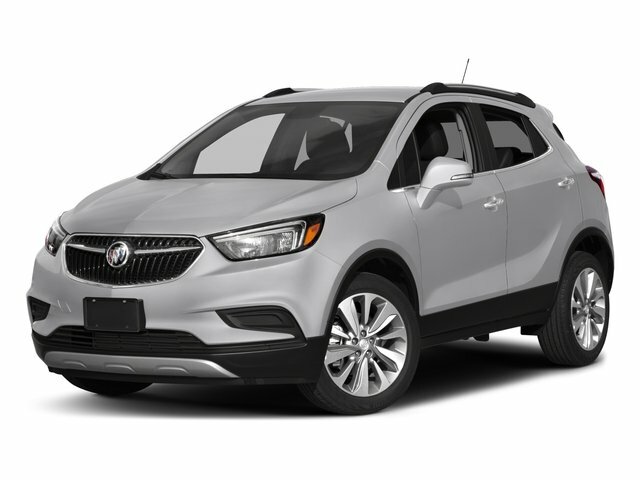 "The 2016 Buick Encore features comfortable front seats and a high seating position that offers a commanding view of the road." -Edmunds.com. Great Gas Mileage: 30 MPG Hwy.